It might not sound necessary to make your own toothpaste, but you might want to after you look at the ingredients list on your toothpaste. I think it should be a rule if you can’t pronounce half the ingredients or you couldn’t name what one of those ingredients does, then you should not be putting the product in your body. So what are the benefits of making your own toothpaste? Besides getting to make the toothpaste taste anyway you want and costing less than store bought toothpaste, there are number of other benefits that come from the ingredients. Calcium – Essential for optimal body functioning and it is an effective abrasive in the homemade toothpaste. Bentonite clay – Helps rid the body of toxins. Coconut oil – A strong antibacterial and antiviral that keeps bacteria at bay. There are two recipes below which are pretty similar in taste but quite different in texture. If you want something that feels like regular toothpaste, try the first toothpaste recipe. If you want something more smooth, try the second recipe. Buying toothpaste all the time can cost a pretty penny but it doesn’t have to be that way. 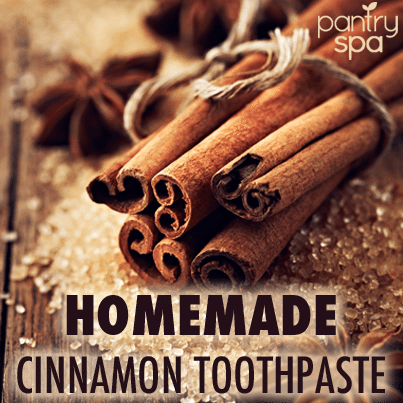 Check out two homemade toothpaste recipes with coconut oil. Whisk together the calcium powder, baking soda, xanthan gum and xylitol. Using a fork, blend in the coconut oil until uniform. Add the water and the essential oils and use a whisk to stir it very briskly. Make it as smooth as possible and adding more water if needed. Spoon into a small pastry bag fitted with a screw-on cap or other squeezable container. If it is too thick, use water to thin out the toothpaste. Whisk together the clay, xylitol, and sea salt. Add the water and essential oils and whisk vigorously until a uniform paste forms. The clay will thicken over time. Add water to thicken it out if you need to.